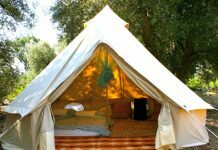 It is common knowledge that such thing as a perfect camping tent does not exist. This topic can only be translated in matter of compromise regardless the many commercials advertising under the name of “perfect” a certain camping tent. 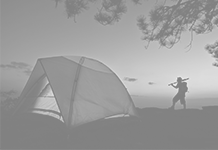 A person enjoying the great outdoor experience should take under consideration the type of tent that better suits him or her and their personal needs. 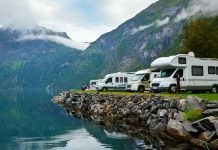 This choice should take under consideration the level of comfort, the company and the site; these being just a few of the issues that need analyzing before buying a tent. 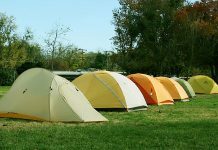 The choice of a suitable tent must look into how long it takes to set up a tent. 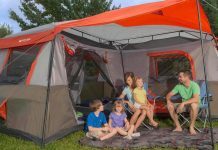 An easy to set up tent is usually easy to take down. 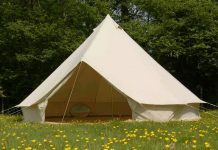 Usually such a tent weights little and it is easy to move around and manipulate if the campers decide to change the view. 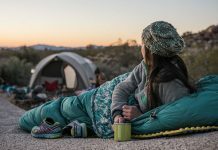 A plus in choosing such a tent is that it takes less than 30 minutes to set up, and saves a camper out of something that could really be a challenge. Another important aspect is the warmth. In the mountains the temperature drops over night, regardless of the season. 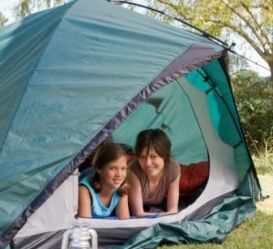 If the campers are, for example, a family with children, the temperature inside the tent during nighttime is a major issue. Usually the double sheet tents offer an increased comfort but they are a little heavier. The presence of such a tent during a sudden chilly night while early fall camping is a valuable protection meant to keep the children warm. 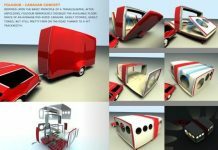 The camper should consider a tent with groundsheet which is a great help during rain. In every camping season, a sudden rain, even if only a shower brings with it the risk of flooding inside of the tent. A ground sheet with an elevation of 10 cm from the ground is a very helpful hand during a “wet “situation. 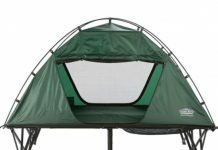 The tent’s structure is also important. An aluminum structure will make the tent more stable but it will also make it heavier. A fiber glass structure will be a lot lighter but also a lot more exposed to the wind. 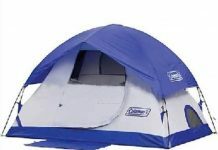 The ventilation of the tent is another thing to consider. During summer time the temperature rising during the day can make the inside of the tent a hell like environment. At 45 degrees sleeping inside the tent during the day is impossible, and that is why the presence of a back window used for ventilation is highly recommendable. The last but not the least, the size of the tent needs attention. 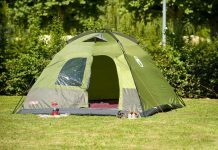 A camping trip needs a lot of stuff and all of it have to fit inside the tent next to the campers during nighttime, so that is why it is always helpful to know what is the quantity of the luggage one usually takes when going camping before buying a tent. Maybe picking out the right tent seems complicated but the process is smart and if done right can guarantee you a wonderful camping trip.